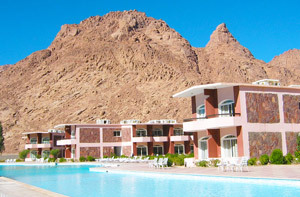 Morgenland Village Hotel is located at the foot of the Sinai Mountain in St. Catherine. The hotel welcomes America Israel Tours travelers to the land where Moses met with God through the burning bush and where he received the 10 Commandments. 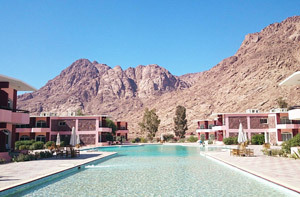 Located in the Sinai Peninsula in Egypt, the town of St. Catherine lies at the foot of the Sinai High Mountains. 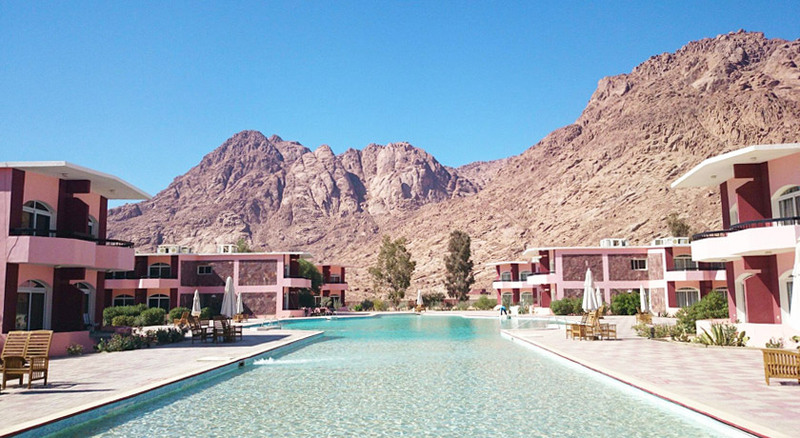 Travelers come to visit Mount Sinai and St. Catherine’s Monastery, the oldest continuously used monastery in the world, built on the site of Moses’ burning bush. 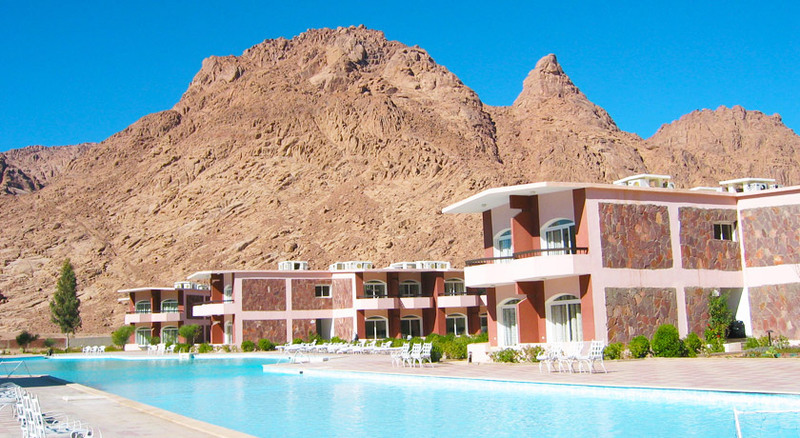 Experiencing the evening climb up Mount Sinai is an experience that few will ever forget. The hotel offers 240 rooms including single, double, triple and hostel types that can accommodate up to 600 guests. The rooms are fully furnished, air conditioned, and contain fully equipped bathrooms with all amenities. Dining options include a restaurant serving breakfast, lunch and dinner as well as a café and bar.